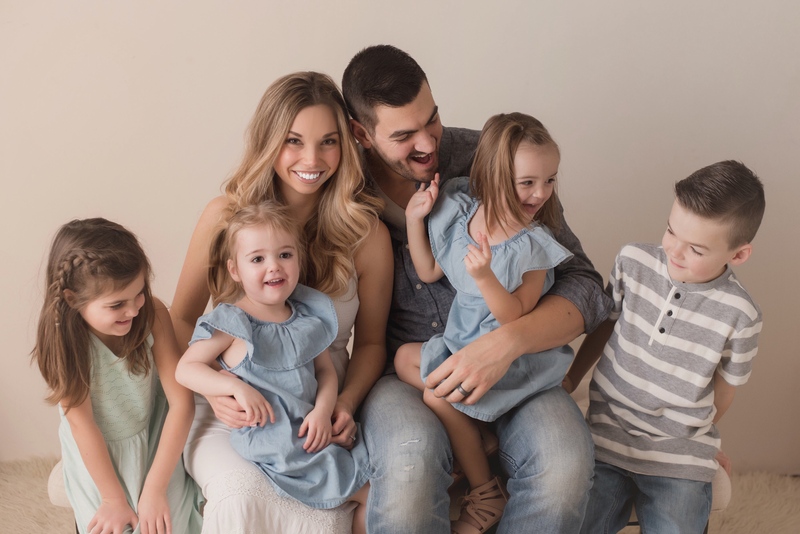 When it comes to advising parents expecting twins, there are the obvious bits of advice that I give every mom or dad, such as get lots of help. 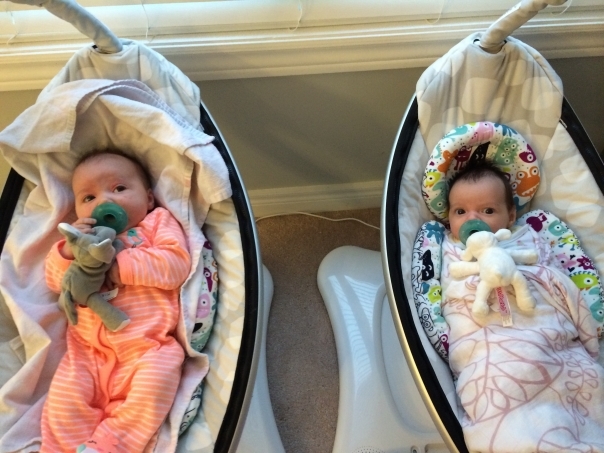 But the most important piece of advice I give to new parents of twins is, think about the logistics ahead of time. Recently, I had dinner with a lovely group of local twin moms. Beside me, sat a pregnant twin-mama-to-be with her 35 week baby bump. After chatting with her, I turned and said, “have you thought about the logistics?” “What do you mean?” She asked. “Well, for example, where will you be nursing your babies during the night?” I asked. “I have a glider in the nursery.” She hesitantly told me with a look of clarity spreading across her face, realizing a glider may not cut it. This spurred on a conversation about tandem nursing, and although she had nursed her older child successfully, she assumed she wouldn’t be able to tandem nurse without help. I explained to her that it is very possible, it just requires some planning ahead of time. A great way to approach the logistics conundrum with twins, is to do a walk through of your home. Think of it a dress rehearsal. Start in your kitchen. If you are wanting to cook a meal, and say, you have a dog or other children in your home, where will you be putting your twins? You may want to think about having two reclining high chairs or two swings nearby. Then, walk into your family room, or wherever your TV is. Do you think you will be marching upstairs each time you need to change a diaper? Living out of your diaper bag won’t be that practical if you are having to restock it constantly with all of the diapers you are going through with your twins. 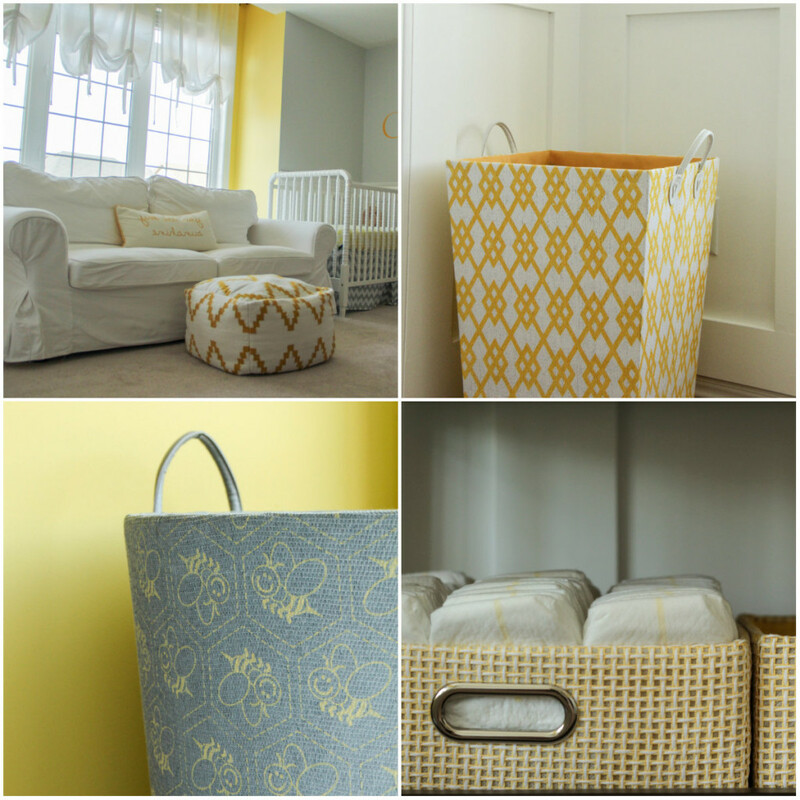 Maybe setting up a second change table in this room would make your life a lot easier. Now head towards your door. What is your exit strategy? 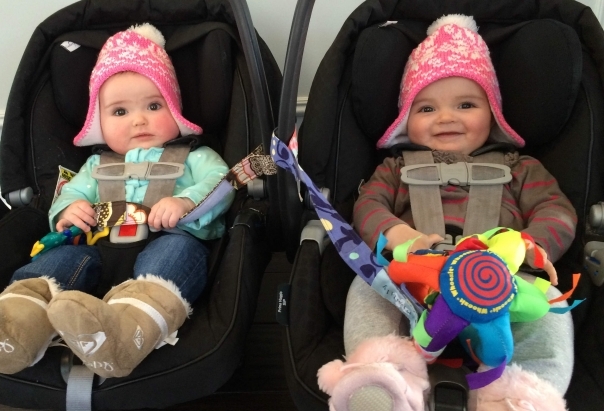 Will you carry both carseats at once? Once your babies grow out of their carseats, and are on the move, will you need something to hold each of your babies, while you take one at a time out to your car? Maybe having a couple bouncy chairs there, or using your high chairs that are on wheels might work best for you. Lastly, walk into your babies’ nursery. Will you be nursing your babies in this room? Do you think having a sofa instead of a glider might work best? What about storage? A lot more stuff comes with twins. Maybe adding a couple of large decorative bins in the room to be able to quickly throw stuff into would make tidy-up a lot faster. I have been asked a lot, “how much do I need of everything?” The answer is a little different for each person. Factors including, pets, older children, type of home and size of home all impact what and how much you will need. This is why I recommend doing a walk through and really thinking about each scenario while you are still pregnant. Try to think of ways that will make every task a lot easier. Let me know how you have solved your twin logistical problems in the comments section below. The black and white photo at the top is by Sarah Martin Photography. This is really really good advice Joanna! My twin boys are 2 months old now, so I’m still figuring out a lot of things, and haven’t even attempted something like grocery shopping yet. (How do you grocery shop with two infants???). My favorite tip to pass along would be to put the crib(s) on sturdy risers. 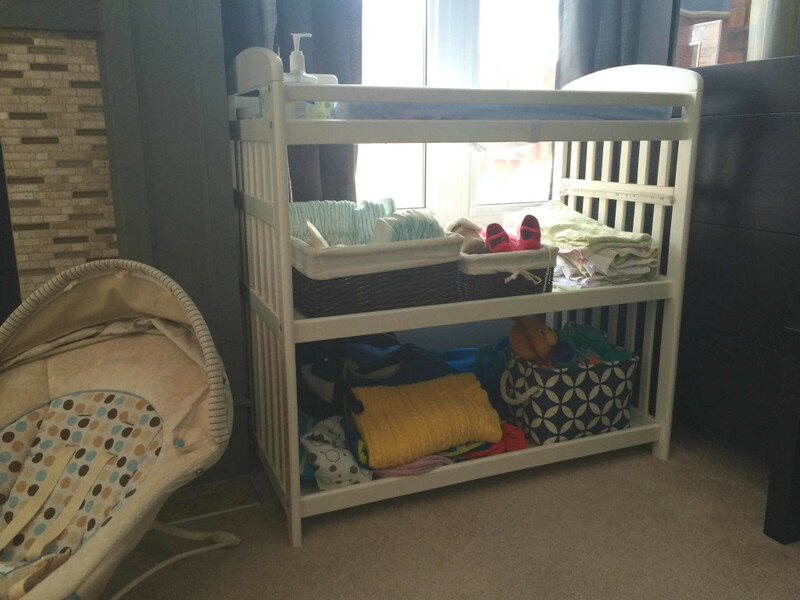 Not only is it less bending to reach your babies (especially post c-section) but now we have a lot more storage under the cribs. We’ve got the pack-n-play folded up under one crib, and baby clothes that they haven’t grown into yet in bins under the other. As an aside, your post about tandem feeding is what gave me the confidence to try it too–I even set up with a couch as you had suggested. I would not have figured any of that out on my own, so thank you so much for sharing your ideas! I have 4 month old twins and I have been able to grocery shop by placing one baby in a car seat in the grocery buggy and carrying the other baby in a baby carrier on my body. This is not easy but it can be done if there is no one to help me.